Yggdrasil Gaming is new to the online casino market, and has experienced plenty of growth in a very short amount of time. This week, the company posted its first quarter financial results for 2016, and it seems that things are going very well for Yggdrasil. Overall, the online slots developer saw a 519% surge in revenue up to $767 million. Bet turnover increased by 1085% to $600 000. 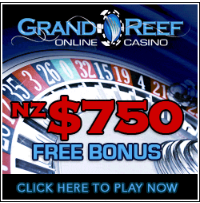 This is one of the most successful results that we have seen for any new gaming operator. This is very encouraging for the company, and we are eager to see what comes next from Yggdrasil, based on this impressive growth. Yggdrasil’s gaming growth has been attributed to its new deals. The company has signed a content supply deal with bet365, one of the web’s leading online casino providers, and has gone live on six different UK online gambling sites. The company has also released 3 new games that have attracted plenty of attention from players around the world. Incinerator, Golden Fish Tank and Seasons all bring new themes and innovative gameplay features to the online casino market. It is no wonder why online gaming operators are so eager to work with Yggdrasil, as the company provides them with content that players are eager to try out. There is certainly more success in Yggdrasil’s future, and we can’t wait to see how the company grows in the coming year.